The cable group bought 6.4 pct of the British broadcaster from BSkyB for 481 mln stg. The stake is too small to confer any sway over ITV or stop a rival bidder. But Liberty is increasingly keen on content as well as distribution. A full takeover could follow. A satellite dish is seen on the roof of ITV television studios in central London. 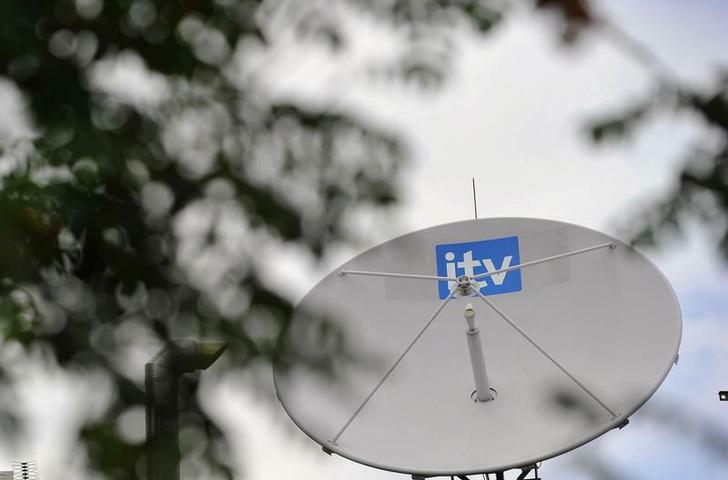 British Sky Broadcasting sold a 6.4 percent stake in ITV, the operator of Britain’s largest free-to-air television channel, to Liberty Global for 481 million pounds ($824 million), or 185 pence a share. Sky said it planned to use the proceeds for “general corporate purposes.” Two months ago it said it was in preliminary talks to buy sister companies Sky Italia and Sky Deutschland from Rupert Murdoch’s Twenty-First Century Fox, which is also its biggest shareholder. Liberty, which owns Britain’s Virgin Media and cable operators across continental Europe, said the purchase of 259.8 million shares was “an opportunistic and attractive investment.” It said it did not intend to bid for ITV. This commitment is binding for six months under Britain’s UK takeover regime but falls away if another bidder makes an offer for the company. Sky bought 17.9 percent of ITV in 2006 under its then-Chief Executive James Murdoch. It was a move that effectively prevented NTL, a forerunner company of Virgin Media, buying ITV. Regulators later forced Sky to sell down its stake to 7.5 percent. Following the latest sale, Sky retains a small residual stake which is bound up in a hedging transaction. Shares in ITV leapt 7.8 percent by 0916 GMT to 198.1p a share.